Under Florida Statute Section 893.135(1)(c), Trafficking in Morphine, Opium, Oxycodone, Hydrocodone, or Heroin occur when the defendant sells, delivers, manufactures, or possesses 4 grams or more of these controlled substances. In Jacksonville, Florida, trafficking in Morphine, Opium, Oxycodone, Hydrocodone, or Heroin carries a minimum mandatory sentence which depends on the amount of the controlled substance involved. If the amount of the controlled substance trafficked is 4 grams, but less than 14 grams, the minimum mandatory sentence is 3 years. Greater than 14 grams, but less than 28 grams of the controlled substance carries a sentence of 15 years. Greater than 28 grams, but less than 30 kilograms of the controlled substance has a minimum mandatory sentence of 25 years. 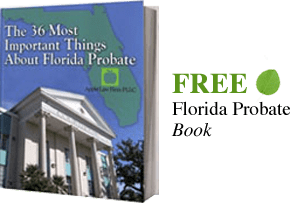 Anything more than that carries a sentence of life in Florida State Prison. If you have been arrested for Trafficking in Morphine, Opium, Oxycodone, Hydrocodone, or Heroin in Jacksonville, Duval County, Florida or the surrounding counties, speak with a Jacksonville Drug Trafficking Attorney. A Jacksonville Drug Trafficking Lawyer has experience with trafficking cases and will represent you to the fullest. Contact our Jacksonville Criminal Defense Lawyers by email or by calling 904-685-1200.